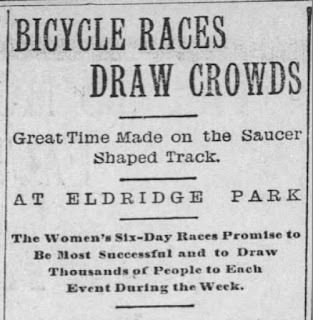 Starting on August 28, 1900, Eldridge Park hosted “the greatest and most novel athletic event ever conceived” – a six-day-long ladies’ bicycle race. The management of the park contracted with promoter J.L. Keller to bring six professional lady cyclists in for the event. A special “saucer-shape” board track was constructed on the plot of land between the statue of American Girl and the deer reserve. The oblong wooden track was 86 feet wide by 154 feet long. The sides on the straightaway portions were banked at 22 degrees while the ends were set at a 45 degrees. Sixteen laps around the track equaled a mile. Seating for 8,000 people was also constructed around the track. The race promised to draw in thousands of people from a radius of 75 miles to witness the spectacle. 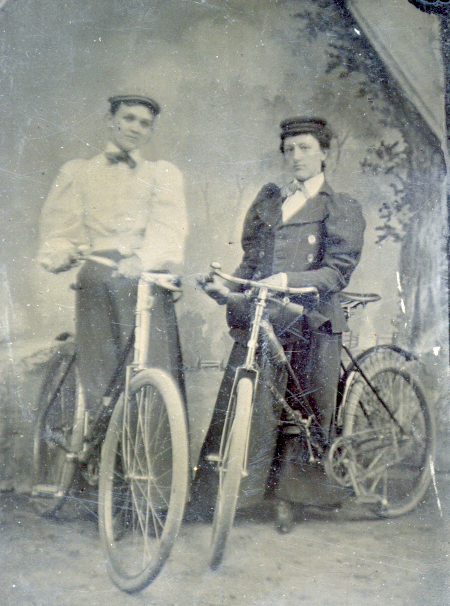 Previous ladies’ bicycle races put on by the promoter in New York City, Chicago, Pittsburg, Grand Rapids, and many other smaller cities had drawn upwards of 10,000 people each day of the event. Elmirans were very fond of bicycling – over 7,000 bicycle licenses had been issued in the city since April 1 of that year – so there was no doubt that people would come out to watch the race. Leading up to the event, there seemed to be some concern about the propriety of watching women race bicycles. An article in the Star-Gazette assured readers that, while professional male riders typically wore armless shirts and very abbreviated trunks, the women would all be neatly attired in sweaters, knickerbockers, and stockings. The paper also reported that when the women raced in Philadelphia, there were several clergymen in the crowd who had come specifically to see if there was anything objectionable or immodest about the race. They all went away perfectly satisfied and one promised to return the next day to see the finish. The six women who came to Elmira for the race – Rossie Hatch, Mary Petchard, Margaret Gast, Emma Bayne, Lucy Berry, and Clara Harvey – were seasoned professional racers. These “heroines of the diamond frame” could all easily make the 18-mile-an-hour speed required for entry. Miss Hatch was not yet twenty years old but had been racing for five years. She won $500 worth of diamonds in Chicago in 1896. Miss Gast had recently become world champion for long-distance cycling after riding 1,000 miles in 113 hours and 23 minutes. Mrs. Bayne was also a distance rider. She rode 4,500 miles in 29 days, 21 hours, and 50 minutes and then led the dancing at the ball held in her honor the same day she finished the ride. 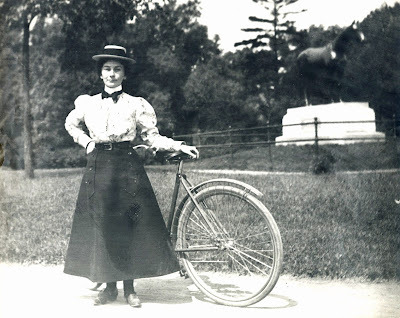 Miss Berry sang in the choir of St. Paul’s Episcopal church in Indianapolis until her voice suddenly forsook her and then she took up bicycling as a profession. 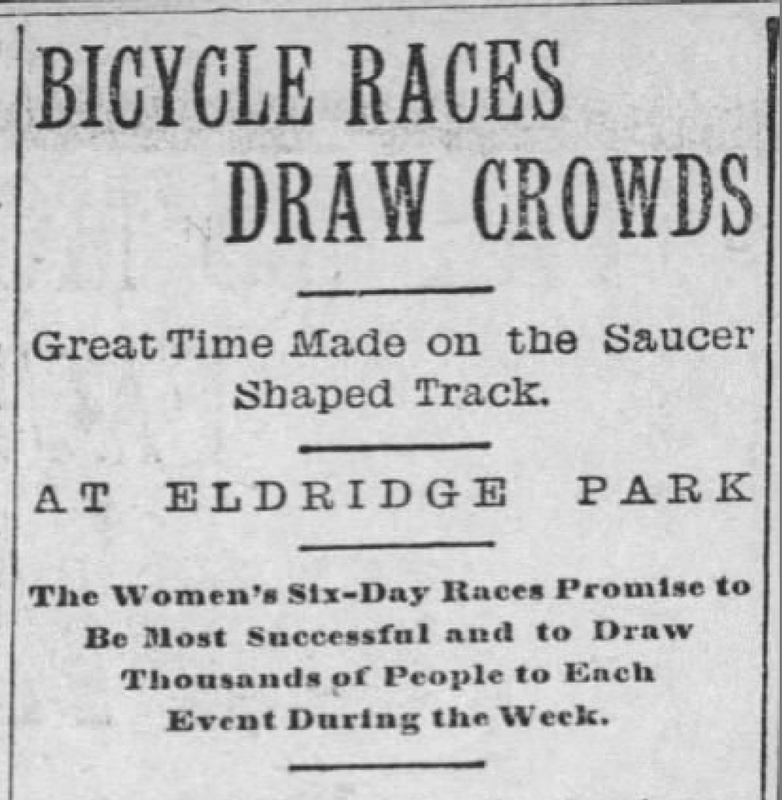 Racing began in Eldridge Park on the afternoon of August 28. The track was nearly filled with spectators. Tickets for the grandstand cost 15 cents while seats inside the track, the best place to get up close to the action, cost 25 cents. If a person rode their own bicycle to the event, they could check their wheel for 10 cents and receive a free admission ticket. Similarly, if one bought a 10 cent round-trip ticket to the park on the Maple Avenue or West Side trolleys he or she also got a free ticket to the races. It was noted that more than half the seats in the grandstand were occupied by ladies. Races took place for two hours twice each day starting at 2:30 in the afternoon and again at 8:30 in the evening. The first day of racing was filled with excitement. Accidents were common on the track as the riders jostled for position and it seemed that every one of them was physically giving their all. Two riders fainted dead away while riding and toppled over the handlebars of their wheels onto the track. They were given restoratives and went right back to racing. Miss Gast was in the lead after the first four hours of racing with 60 miles completed. The following days of racing provided more thrills and spills as the growing crowd cheered on their favorites. Those who attended the races found some of their own excitement outside of the track as well. A fight broke out on the Elmira & Horseheads street car after it picked up a large crowd at Eldridge park following the end of the first day of racing. One man stood up to give his seat to a lady and another man took the space. The first man punched the seat stealer in the eye. The stealer’s niece then started yelling at the man who had done the punching. The lady friend of the puncher started yelling back. The wordy fight turned into a first class hair pulling match between the two women. The fight reportedly caused considerable excitement on the packed trolley. Earlier that same night, Morvalden Ells was arrested and charged with malicious mischief in climbing a fence at the park to witness the six-day bicycle race. At the end of the six days of racing, Miss Margaret Gast came out the winner with 358 miles. Mrs. Bayne came in a close second with 354 miles. Miss Hatch finished in third place despite having her left arm bandaged from elbow to wrist because of several hard falls. Miss Petchard managed to get back into fourth place after taking a header over the bars of her wheel on the second to last night of racing. Miss Berry came in fifth but had to give up on the race after she fell into her trainer’s arms and was carried from the track unconscious. Miss Harvey, unfortunately, suffered a great deal of neuralgia caused by the climate in Elmira. 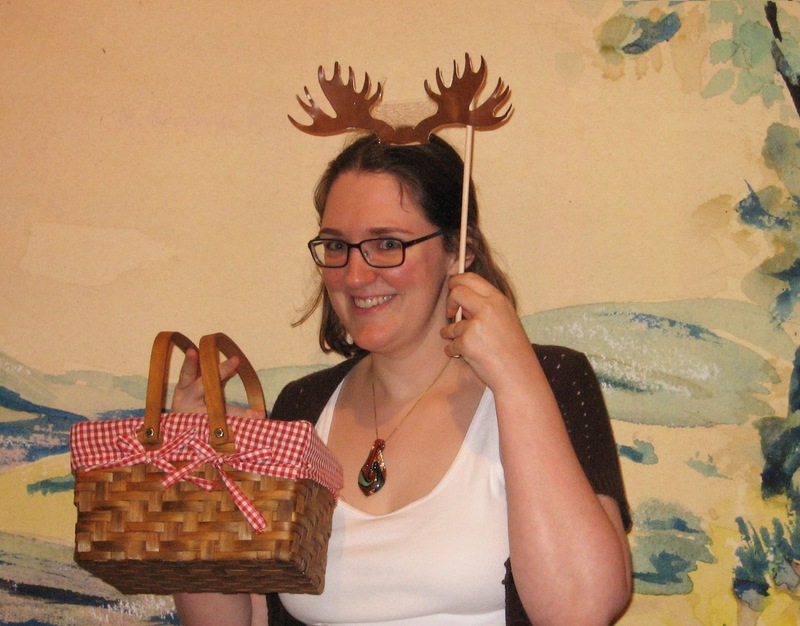 On August 20, our Education Coordinator Kelli Huggins let you all know that she had taken a new position at the Catskills Interpretive Center and would be leaving CCHS. Well, the day has come and gone and she has made the move. And, we at the CCHS could not be more proud of her. What Kelli modestly did not tell you in her goodbye post was that she also won two statewide awards from the Museum Association of New York, one recognizing her as an up and coming museum professional and another recognizing The History They Didn’t Teach You in School as an intriguing and cutting edge program. She also did not mention that the many thousands of schoolchildren she reached were because of her hard work developing relationships with teachers and principals, creating programming to match classroom needs and then delivering much of that programming herself. And while you know that she managed to write a book in her time here she also found the time to serve as an adjunct professor at Elmira College, sharing her love of history with yet another group of students. I have no doubt that the Catskills Interpretive Center is already benefiting from her knowledge, energy and enthusiasm. The CCHS has started the process of looking for a new person to take on the role of Educator, but we know that whoever winds up with the position will not be replacing Kelli. They will, however, be building on a great foundation. So Kelli, thank you for five very successful years. Thank you for being a part of CCHS, for making us laugh and do some silly things. I know that you will do great things in your new position and, just in case you see this, remember that it will all work out. Labels: Education, In the Museum, Miss You! 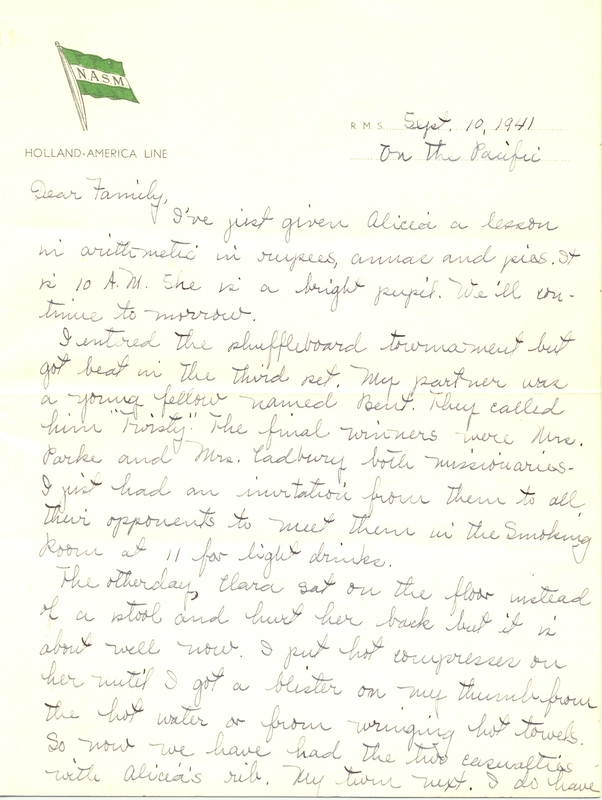 In September of 1941, Ethel Nichols was on a mission, and so were the 300 men of the American Volunteer Group (AVG). Ethel, an Elmira native and member of the Southside Baptist Church, was headed for Gauhati, India, where she would be in charge of the Satri Bari Girls’ School for the next twenty years. 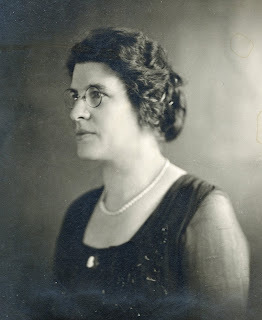 She had joined the American Baptist Foreign Mission Society in 1920 after graduating from Elmira College and had been working in India ever since. She was headed back to her work after a visit home when she met an unusual group of men on her voyage across the Pacific. They, like Ethel, were classified as civilian missionaries according to their passports, but their mission was far less spiritual. In the spring of 1941, retired U.S. Army Air Corps officer Claire L. Chennault assembled a team of 100 pilots from the Navy, Marine Corps, and Army Air Corps, along with 200 ground crew personnel to help the Chinese fight the Japanese. He did so with the supplies, funding, and blessing of the United States government. 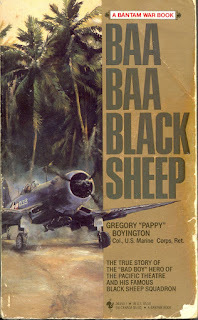 In his autobiography Baa Baa Black Sheep, Gregory Boyington, an AVG pilot described his own trip across the Pacific aboard the Dutch ship Bosch Fontein with 26 other pilots. They managed to blow their cover the first night. Of course it took very little time before these genuine missionaries realized that we were traveling under false colors and weren’t missionaries at all. But the manner by which they let us know that they knew was done rather cleverly…One day one of the real missionaries came up and asked if I would give the sermon for next Sunday’s services, explaining that the duty rotated. I had to decline the invitation to lead the services…As it was, the same missionary invited me to next Sunday services aboard ship. He was one of the younger missionaries, and he himself gave the sermon. But as he did so (I was seated in one of the front rows) he seemed to direct the entire sermon at me and the group I represented. His point was how horrible it was for people to fight for money. 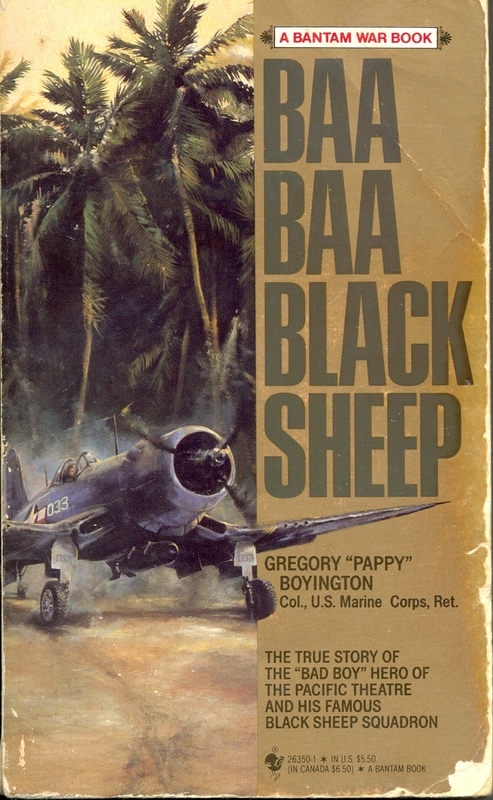 Nicknamed the Flying Tigers, the AVG proved vital in delaying the fall of Rangoon and preventing the Japanese from advancing into China beyond the west bank of the upper Salween River. Their combat record was exemplary with a kill ratio better than any Allied unit in the Pacific theater. They were disbanded on July 4, 1942 and the surviving members were integrated back into the regular U.S. military. 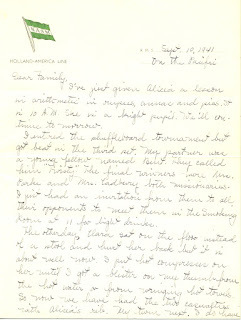 Ethel Nichols continued to work in North East India until her retirement in May 1961. In addition to running Satri Bari Girls’ School, she was established training classes to teach rural girls about basic health care and Christian life. After her retirement, the Council of Baptist Churches in North East India established the Nichols English School in her honor.